In 1971, two Washington State Extension Agents, David Gibby and Bill Scheer, explored the novel concept of recruiting and training volunteers to assist in Extension programming. The initial response was tremendous and so began a now national Extension program that educates volunteer-minded people. The Alabama Master Gardener program started when a Master Gardener from New York, Mary Lou McNabb, shared her love of the program with Madison County Extension Agent Gary Murray. Along with a couple of Extension Specialists, they organized the first Alabama Master Gardener training series in Huntsville. Since 1981, Alabama Master Gardeners have been important volunteers with the Alabama Cooperative Extension System. They have hosted displays and information booths at county fairs, offered educational programs, assisted botanical gardens, worked with historic properties, implemented civic beautification projects, partnered with local schools, donated fresh produce to charity, supported scholarships in secondary education, and much more. 2018 Training – The Alabama Cooperative Extension System offered Master Gardener volunteer training in 17 locations and had attendees from 30 Alabama counties. 2018 Gardens – Master Gardener volunteers managed and supported teaching gardens in 21 counties. These gardens had 410,767 total visitors in 2018. 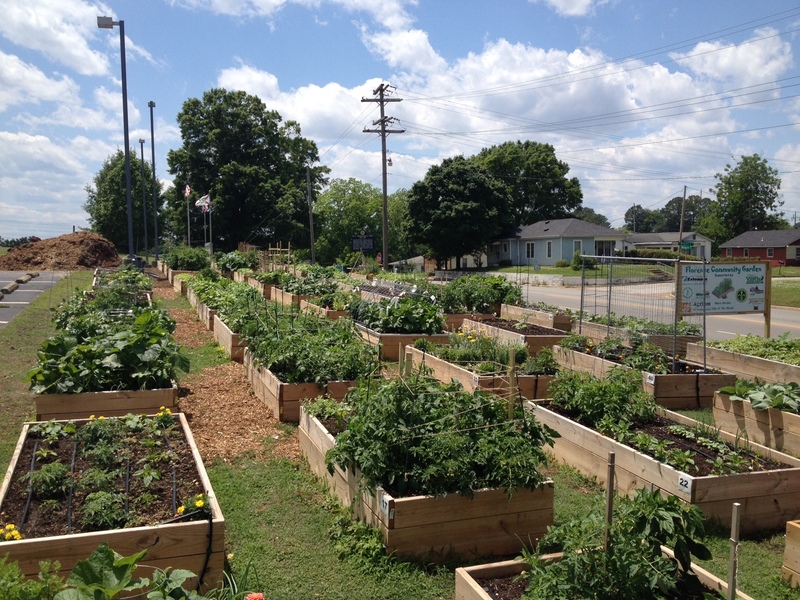 2018 Gardens – 13 community gardens, sponsored or supported by Master Gardeners, donated 12 tons of produce (96,000 half cup servings) in 2018. The retail price of this donation equals $39,600. 2018 Research – Harvest for Health is led by UAB’s Comprehensive Cancer Center and Extension’s Home Grounds team. To date, 492 volunteers have mentored cancer survivors in 32 Alabama counties. Our pilot studies (2013-3017) showed that gardening significantly improved the diet and health of the cancer survivor participants. 2018 Research – The Bee Biodiversity Initiative was started by Dr. Charles Ray in 2016. Fifty citizen scientist volunteers collected thousands of insects in their yards and gardens. Numerous leaf-cutter bee species and other insects have been identified. Several species were previously undocumented in Alabama. 2018 Numbers – There were 401 Intern MGs, and 1,347 active, veteran Master Gardeners reporting volunteer hours.